New allies who want to support LGBT Americans often face an array of confusing terminology and language. 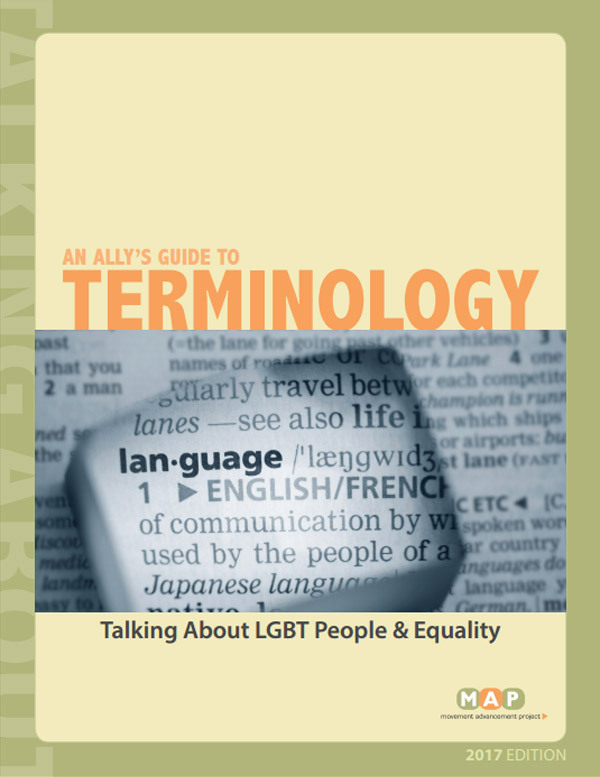 An Ally's Guide to Terminology: Talking About LGBT People & Equality offers an overview of essential vocabulary and some terms to avoid. It also includes general terminology and approaches for talking about LGBT issues using everyday language that emphasizes common values, beliefs, hopes and dreams—and which reminds audiences that LGBT people are everyday Americans who live everyday lives. Movement Advancement Project. January 2017. "An Ally's Guide to Terminology: Talking About LGBT People & Equality." 2017 edition. MAP's Talking About LGBT Issues series. http://www.lgbtmap.org/allys-guide-to-terminology (date of access).